This week we celebrate the festival of Sukkot. This holiday is possibly the least-observed among Jews in modern times. After the “high holidays” of Rosh Hashanah and Yom Kippur, many go back to their regular routines and completely forget about Sukkot. In reality, Sukkot is considered a “high holiday”, too, and is inseparable from Rosh Hashanah and Yom Kippur. 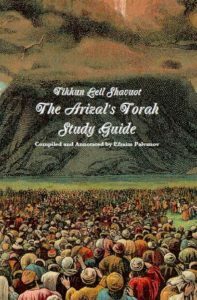 Most people are aware that one is judged and written into the Heavenly Books on Rosh Hashanah, and that the books are sealed on Yom Kippur, but few know that the books are reopened on Hoshana Rabbah, the last day of Sukkot (before the semi-independent holiday of Shemini Atzeret which immediately follows Sukkot). “When will you come Master?” he asked. “Peace be upon you, O son of Levi,” he answered. Rabbi Yehoshua was excited when Mashiach assured him he would come on that very day. When the day passed, the rabbi was heartbroken, and thought Mashiach had lied to him. However, when later meeting Elijah again, the prophet told him that Mashiach was only quoting Psalms, that the redemption would come today if the Jewish people merited it. The fact that Mashiach has yet to come means the people are not yet worthy. As such, each Yom Kippur that passes without Mashiach’s immediate arrival means that Israel has not repented completely. In fact, the final long blow of the shofar at the conclusion of Yom Kippur is likened to the shofar blow that will be heard when Mashiach arrives. We hope that God has fully accepted our prayers, and that this final shofar blow is the one to bring the redemption. If Yom Kippur passes without the redemption, we have one more chance on Hoshana Rabbah, when the Heavenly Books are reopened one last time. We show our devotion by staying up all night learning Torah, and we say selichot just once more in the hopes that it might tip the scales in our favour. We blow the shofar for the very last time, too, in one final attempt at bringing Heaven down to Earth. This union of Heaven and Earth is precisely what Mashiach’s coming – and the holiday of Sukkot – is all about. When God created this world, He intended for the spiritual and material realms to coexist, and for human beings to inhabit both dimensions simultaneously. 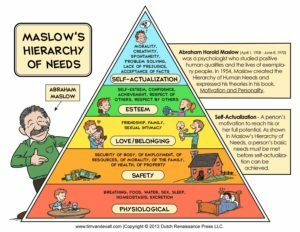 This perfect state of reality was embodied by the Garden of Eden, where Adam and Eve were “bodies of light” and God’s presence was openly experienced. But Adam and Eve’s actions caused their bodies of light, ‘or (אור), to turn to skin, ‘or (עור) – two words that sounds exactly the same in Hebrew, and written the same save for one letter. Man was banished from the Garden and descended into a world where spirituality is concealed, and God’s presence is not so easy to recognize. 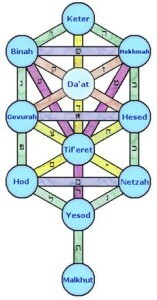 Mashiach’s coming is meant to re-bridge the gap between Heaven and Earth, restoring the world to a state of Eden. This is what we are meant to experience on Sukkot, when we leave the material confines of our homes and spend our time in simple outdoor huts, surrounded by God’s “clouds of glory”. The sukkah is a place to experience Heaven on Earth. The Kabbalists tell us that this is the inner meaning of sukkah (סוכה), the numerical value of which is 91. This special number is the sum of God’s name (יהוה), the value of which is 26, and the way we pronounce the name, Adonai (אדני), the value of which is 65. In Heaven, where Godliness is openly revealed, God is known by His Ineffable Name (יהוה). 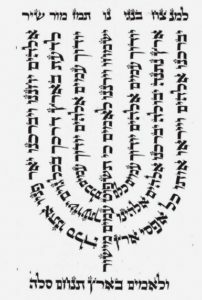 On Earth, where Godliness is concealed, the Tetragrammaton cannot be pronounced, and we say “Adonai” (אדני) instead. The fusion of God’s heavenly title (26), and His earthly title (65) makes 91, the value of sukkah, for it is in the sukkah that we can experience the fusion of Heaven and Earth. On that day, I will raise up the sukkah of David that is fallen, and close up its breaches, and I will raise up his ruins, and I will build it as in the days of old… And I will turn the captivity of My people Israel, and they shall build the waste cities, and inhabit them; and they shall plant vineyards, and drink their wine; they shall also make gardens, and eat their fruit. And I will plant them upon their land, and they shall no more be plucked out of their land which I have given them, says Hashem, your God. This entry was posted in Holidays and tagged Adam and Eve, Amos, Angels, Elijah/Eliyahu, Garden of Eden, Gematria, God's Names, Heaven, High Holidays, Hoshana Rabbah, Kabbalah, King David, Leviathan, Light, Mashiach, Prophecy, Psalms, Rabbi Yehoshua ben Levi, Rosh Hashanah, Selichot, Shofar, Sukkah, Sukkot, Tetragrammaton, Torah Study, Yom Kippur on October 20, 2016 by Efraim Palvanov. 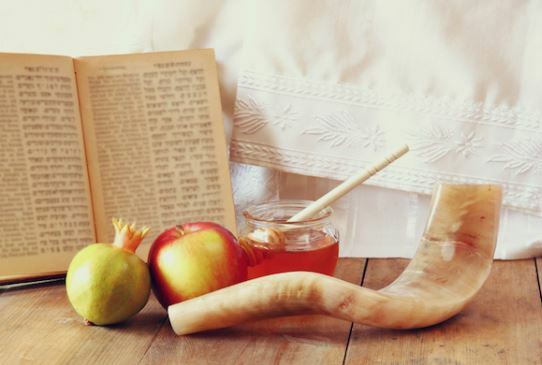 Why is Rosh Hashanah The New Year? This Sunday evening is the start of Rosh Hashanah. It is well-known that this day, the first of the month of Tishrei, is the Jewish New Year. It is also well-known that Rosh Hashanah is “Judgement Day”, when everyone’s merits and sins are placed on a scale and each person is written into the Book of Life, or the Book of Death. What’s amazing is that neither of these ideas are actually recorded in the Torah! The Torah does not describe the first day of the month of Tishrei as either “Rosh Hashanah”, a new year, or as a “judgement day”. All that the Torah states is that this day is a yom teruah, a day to blow the shofar (Numbers 29:1), and a day of zikhron, “remembrance” (Leviticus 23:24). More puzzling is that Tishrei is the seventh month on the Jewish calendar, and not the first (which is Nisan). So, where does the idea of the first of Tishrei being a new year come from? And why is it a day of judgement? 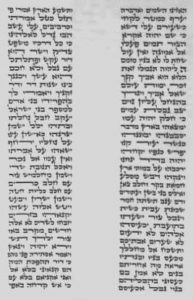 The Talmudic tractate of Rosh Hashanah begins by stating that there are actually four new years on the Jewish calendar. First of these is Nisan, the first month of the calendar, and “the new year for kings and festivals”. Elul, the sixth month, is the new year for cattle tithes. Tu B’Shvat is the new year for trees. 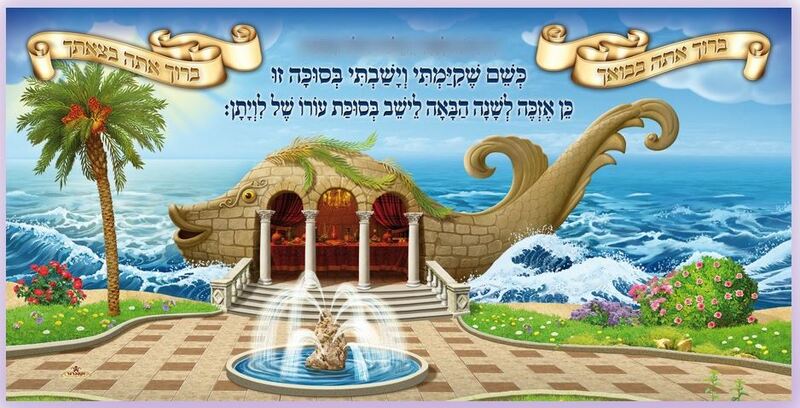 And the first of Tishrei is the “new year for years”, as well as for Jubilees and vegetable tithes. The Talmud goes on to debate why the first of Tishrei is the new year of years. Some argue that the years should start in Nisan, while others suggest it may even be in Iyar or Sivan (the second and third months of the calendar). Based on an analysis of a number of Torah verses, the conclusion is that the new year should be in Tishrei, for this ensures the best Torah chronology. The Talmud then suggests that Nisan is the new year for Jews, while Tishrei is the new year for all of mankind. This makes sense in light of the tradition that Adam and Eve were created on the first of Tishrei. As they are the ancestors of all human beings, their birthday is the new year for all of humanity. The new year for Jews specifically, though, is in Nisan, since it is in Nisan that the Jews were taken out of Egypt and headed towards Mt. 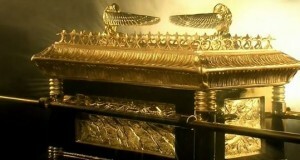 Sinai to receive the Torah and officially become a nation. According to tradition, Adam and Eve ate of the Forbidden Fruit on the very same day that they were created. After partaking of the fruit, they were judged by God, and exiled from Eden. Not surprisingly, then, that same day became associated not just with a new year, but with judgement, too. By consuming the fruit, Adam and Eve brought death into the world (Genesis 2:17). It is therefore appropriate that on Rosh Hashanah, the books of life and death are opened, and each person is inscribed therein. Based on Deuteronomy 11:12, the Talmud (Rosh Hashanah 8a) concludes that one’s entire forthcoming year is set on Rosh Hashanah. 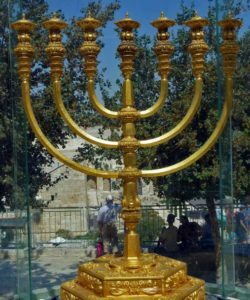 The verse states that God’s “eyes”, so to speak, are set mereshit hashanah v’ad acharit hashanah, “from the beginning of the year, and to the end of the year”, and so, the Sages interpret that the entire year is already pre-destined from the start of the year. The Sages then ask: how do we know that this judgement day is on the first of Tishrei? Psalms 81:4-5 states, “Blow the shofar on the new moon; at the full moon is our festival. 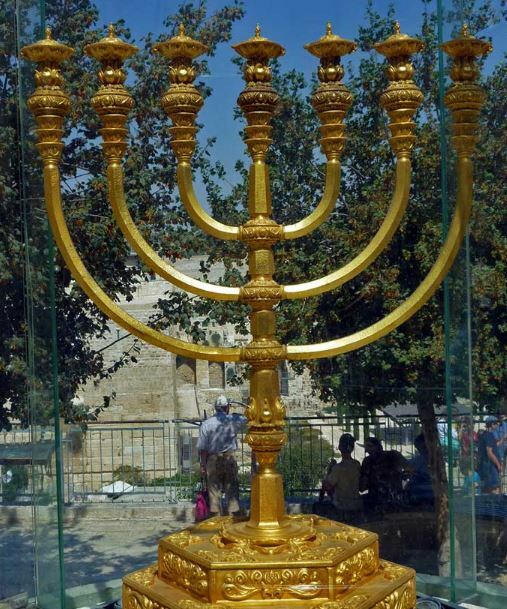 For it is a statute for Israel, a sentence of the God of Jacob.” This verse just about ties it all together. It tells us that the day of shofar blowing is on the new moon (the first of the month), and on the full moon is the festival. This festival is Sukkot, which is celebrated on the 15th of Tishrei – a full moon. The Psalm continues by saying it is a mishpat, literally a court ruling or a sentence, a clear allusion to judgement. Ezekiel writes that on the tenth day into the new year he received a prophecy from God. As explicitly recorded in the Torah, the tenth of Tishrei is Yom Kippur. On this day, and this day alone, the High Priest would enter the Holy of Holies and receive a divine revelation. Ezekiel himself was a priest, but in his day the Temple was already destroyed (as the verse above tells us, it was fourteen years after Jerusalem’s destruction). 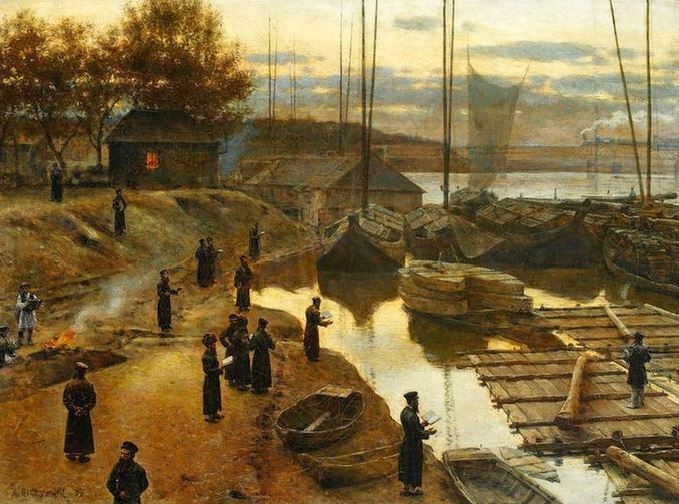 If there was ever an auspicious time for a priest to receive a prophecy, it would be Yom Kippur – the tenth of Tishrei. Thus, it is highly probable that the Rosh Hashanah that Ezekiel refers to is the first of Tishrei. And so, although the Torah does not explicitly say so, a careful analysis of Biblical and Talmudic verses reveals that the first of Tishrei – the day of shofar blowing – is indeed a new year, and a day of judgement. Wishing You a Shana Tova v’Metuka! This entry was posted in Holidays, Mysteries & Origins and tagged Adam and Eve, Book of Death, Book of Life, Calendar, Creation, Egypt, Ezekiel, Full Moon, Genesis, High Holidays, Iyar, Jewish Calendar, Judgement, Judgement Day, Kohen, Mishpat, Mt. Sinai, New Moon, New Year, Nisan, Priest, Psalms, Rosh Hashanah, Shofar, Sivan, Sukkot, Tishrei, Yom Kippur on September 11, 2015 by Efraim Palvanov.